China’s political and industrial leaders are striving to transform the most populous country in the world from the 20th century’s “global workshop” into the 21st century’s “global innovator”. In sharp contrast to these lofty ambitions, each day a force of 260 million migrant laborers (equal to the population of the world’s ten largest cities combined) struggles simply to put food on the table while still having enough income to save or send home to their families. When work becomes too scarce, however, one of the only options left is to take to the streets to try and sell whatever and wherever possible. 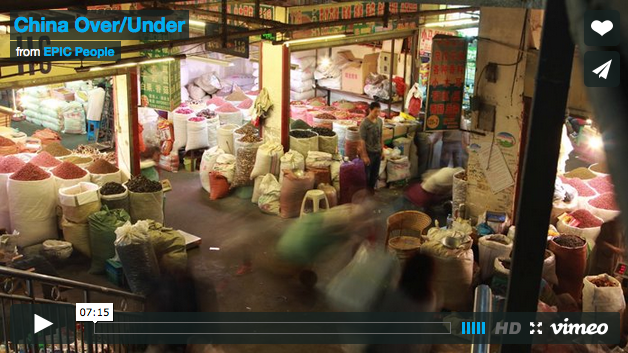 This is a visual journey through how an illegal street market in 21st century China looks, sounds, and feels, where listeners will meet some of the people that rely upon them for survival and come to understand the forces that threaten their existence.